Photo- and Designed wallpaper helps to create a unique wall made specially for your home. There can be various purposes to using Photo wallpaper. The main goal is to decorate the room. But it can do much more. Using a photo wallpaper has several purposes. The most important is decorating the room. But it can do much more than that. A photo well placed can “move” a wall or lose it comletely. In smaller rooms a well chosen picture can make them bigger and more spacious and even lose feeling claustrophobic. Since most of the estonians live in cities, it can be freshening to bring nature views to our homes. People who love summer would be pleased to see a gorgeous view of the mediterranean sea in their living room. A black-and-white photo would be a good way to rest after a day full of color. 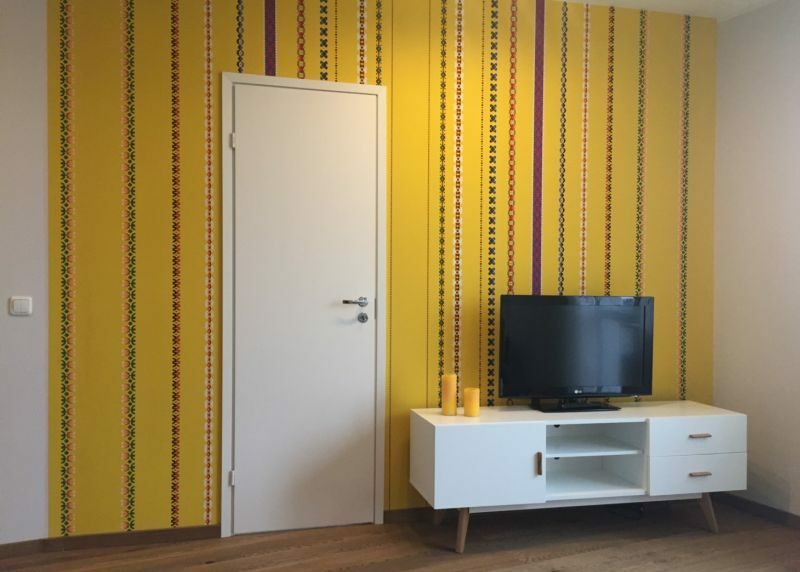 If a photo is too much for your wall or if you want to have a specific pattern, the best option for You is creating a specially designed wallpaper. We design different patterns, add pictures or photos etc. We can integrate flowers, birds, butterflies, animals or national patterns. If you so desire, we can create a wallpaper from an old one – a nostalgic wallpaper from your grandmother’s, for example. It helps to create an interior close to its original when restoring a house. Using designed wallpaper offers very flexible opportunities for firms – their logos and other important elements can be integrated to the wallpaper. If you want the photo to cover the wall from the floor to the ceiling, you need a photo with a very high quality. Photos taken with a cell phone are not suitable for a wallpaper. * If the price of the order is below 200 €, the price of the example is 5 €. It is natural white and considerably thick (0,3 mm) paper from the United Kingdom. No need to fear about transparency problems. It will cover up the old wallpaper, smaller cracks and other minor defects. Since it is quite heavy for a wallpaper, we recommend using a stronger wallpaper glue. The wallpaper tile is 61 cm wide.